Stylists working games are required to use the “Employee Entrance” shown below. Have your credentials ready and remember to scan your card in and out during all events. Allow 5 minutes to get through security and expect to have your bag checked on the way in and out. LOCKER ROOM ENTRY: Stylists must display their credentials while in the tunnels or the locker room. Dancers are in locker room #3. CREDENTIALS: Please be 100% sure to remove your credentials while in all public areas of the arena unless you are using them to get back to the locker room to work. Purchase/consumption of alcohol is prohibited while wearing credentials. 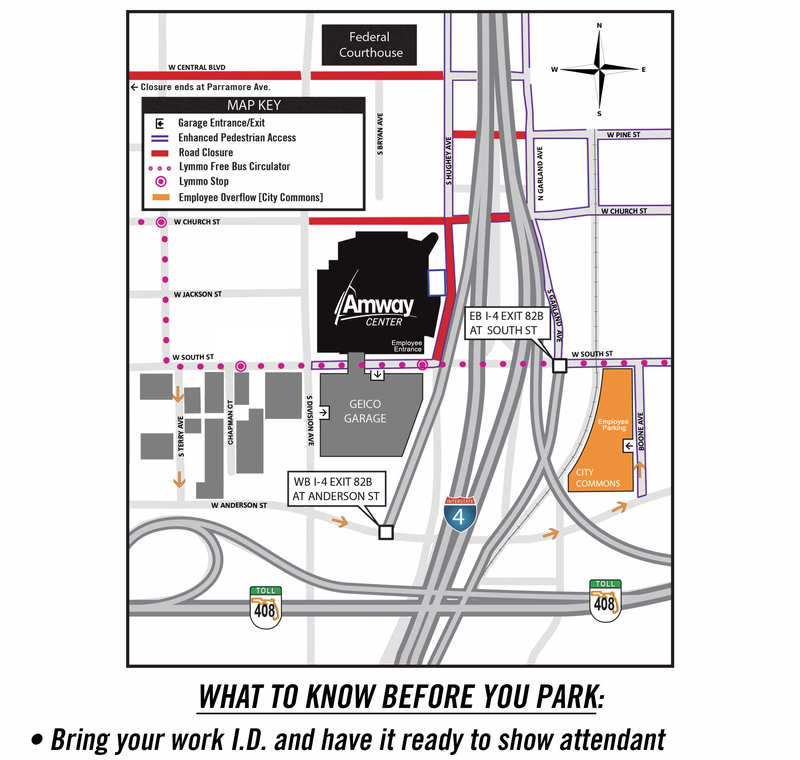 FREE PARKING: Free employee parking at the Chapman Lots (see map below) about 1 block from the employee entrance. Parking will not be permitted without credentials. PAID PARKING: OPTION 1 = $5 Cash only employee parking. City Commons Garage (see map below). Without credentials this is a $10 garage. OPTION 2 = $20 Cash or credit premium parking. Geico garage. 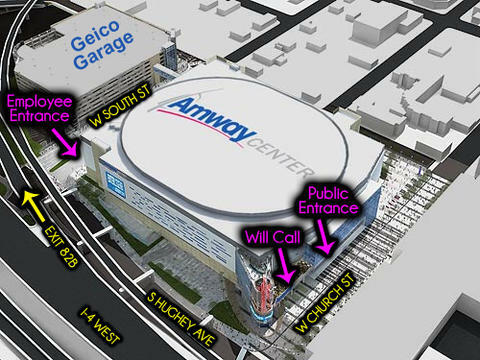 You will need to exit the Geico garage on the first floor and walk to the employee entrance for the arena. You will not be permitted to enter through the bridge unless you have a ticket in your hand. TICKETS: Each stylist working most 2-stylist games will get 2 tickets upon arrival in the locker room. One ticket is for you and the second is for a guest. You can leave your guest's ticket at will-call (go to the INSIDE window in the main atrium on Church Street). Your guest will need ID and the name MUST match the name you gave at the window. Your guest can enter any time after doors open for the event. You should not give away both tickets unless you plan to stay in the locker room for the entire event. Tickets can not be resold. Stylists working a 3-stylist game will get at least 1 ticket for personal use. Additional tickets (if available) will be given out somewhat randomly.